Last month's dramatic declines on the Stock Exchange have shattered equity funds' hopes of recovering losses incurred since the beginning of the year, with the most abrupt depreciation (17.3%) being recorded by Napoca equity fund, Ziarul Financiar reported. Raiffeisen Romania Actiuni lost over 14%, while BCR Expert and BT Maxim lost over 12% each. After another bad month, losses recorded by many equity funds since the beginning of the year exceed 40%, nearing 50% in Napoca's case. "July was the worst month of 2008. This year, both the Stock Exchange and investment funds will suffer. I think the level of losses will diminish by the end of the year, but they will not be recovered," said Ilie Cenan, president of Globinvest, which manages the Napoca equity fund. The fund's main investments at the end of July were in BRD and Banca Transilvania "banking" shares, which accounted for 16% of the fund's 16 million-RON assets, as well as shares in Rompetrol Well Services and Petrom, which together made up 12% of the fund's assets. From Napoca's portfolio, Rompetrol shares depreciated by up to 38%, while Petrom stock reported the smallest decline (0.6%). "The evolution of Stock Exchange quotes does not match the financial results of the listed companies. The market is volatile and far too sensitive to international turmoil. "However, the fund's investment portfolio is based on analyses and calculations, so we did not modify our strategy when the Stock Exchange was going down," added Cenan. Napoca had one of the highest exposures to the equity market when the Stock Exchange was declining, with almost 94% of its assets placed in listed shares at the end of June. The same aggressive investment strategy placed the fund among the top most profitable investment funds over the last seven years, in the years when the Stock Exchange was appreciating. Although Stock Exchange depreciation reached alarming levels in July, the Premio equity fund, managed by Pioneer Asset Management, saw a 1% increase, and thus became the best-performing fund. Equity fund Premio and bond fund BCR Obligatiuni , managed by BCR Asset Management, are the top performers among mutual funds, bringing investors a 1% increase in July. With the lowest volume of assets in the industry, Premio's growth can be explained both by the adoption of a conservative approach towards investments and by the positive impact of the registration of bonus shares and dividends. "Premio's performance is due, on the one hand, to its conservative equity portfolio and to the fact that it lowered its exposure to the Stock Exchange to 65-70% of the fund's assets, and, on the other hand, to the registration of dividends and bonus shares in the fund's assets, which, amid a low volume of assets, contributed to the yield," said Florin Dolea, executive manager of Pioneer Asset Management. As for the rise of BCR Obligatiuni, the fund's heavy investments in bank deposits led to high yields. 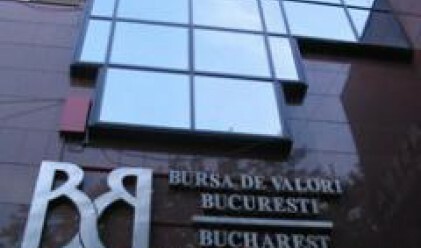 According to results at the end of June, BCR Obligatiuni had invested 70% of its 72 million-RON assets in bank deposits and 17.7% in bonds.